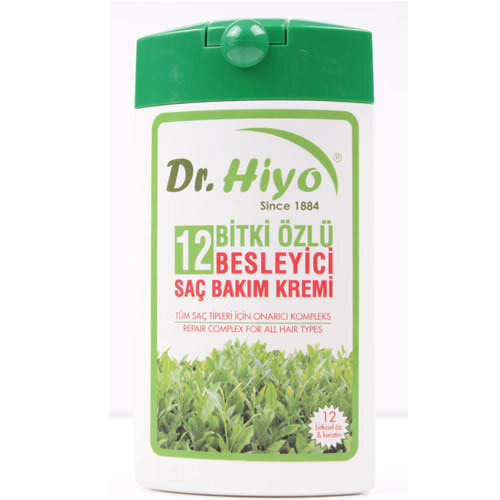 Developed specially formulated for all hair types Herbal Essence Nourishing Hair Care Cream Dr. Hiyo, gives vitality to your hair. Content found in garlic, juniper, olive, rosemary, chamomile, lemon balm, nettle, sage, myrtle, mint, thyme and bay ends of the hair with extracts worn again. while structuring protects hair against external factors. 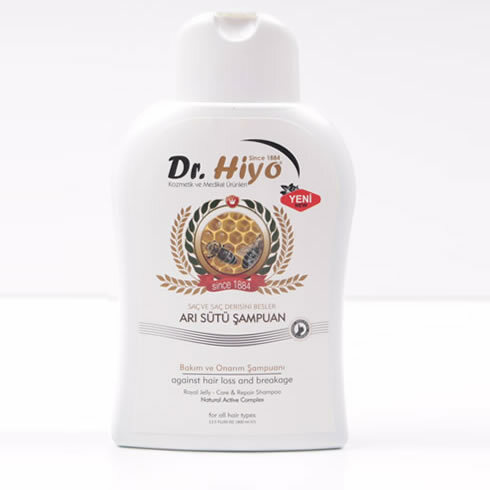 Dr. Hiyo Herbal Essence Nourishing Hair Conditioner, dry, brittle and weak hair softening, easily enabling the screening helps to gain and volume. Rebuild damaged hair ends. while structuring protects hair against external factors. soften your hair brittle and weak, easily enabling the screening helps to gain and volume. Shampoo with Argan Oil allows you to nourish and reinforce your hair 360°. Apply Argan Oil Shampoo, and revitalize your hair! 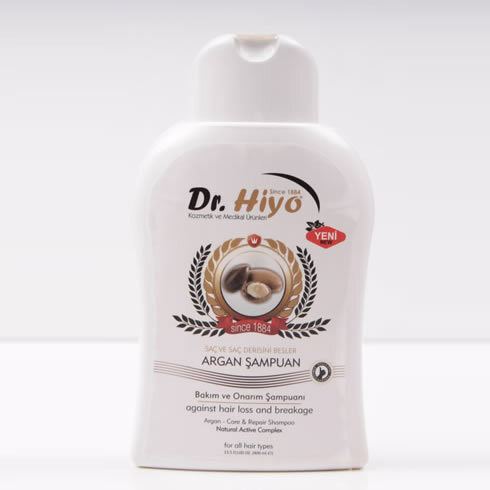 Dr.Hiyo Shampoo, thanks to Argan Oil ingredient, nourishes hair and scalp. Makes hair glitter. Helps healthy hair grow. And, prevents breaking off ends of your hair. Enriched with D-panthenol and Argan Oil. Cleans, softens and helps detangle hair. Royal Jelly Shampoo allows you to nourish and reinforce your hair 360°.Apply Royal JellyShampoo, and revitalize your hair! Dr.Hiyo Shampoo, thanks to Royal Jellyingredient, nourishes hair and scalp. Makes hair glitter. Helps healthy hair grow. And, prevents breaking off ends of your hair. Enriched with D-panthenol and Royal Jelly. Cleans, softens and helps detangle hair.